Cleanses — joy's place LIVE! Cleansing is one of the best ways to initiate change and wellness. We have created a gentle, truly nourishing cleanse that can give your body a rest and help pave the way for for healthier food and lifestyle choices. Most people find that they can continue normal activities such as work and light exercise while on the cleanse. We will email you information on pre-cleanse and post-cleanse eating to help you get the maximum benefit during the three days. Everything is made fresh daily, packed up in insulated bags and ready for pickup at our Pukalani production kitchen after 7:30. Decide which cleanse week works for you. We produce them 2 or 3 weeks per month and break for holidays. Our cleanse days are always Tuesday, Wednesday and Thursday. Order by calling 808-572-2186 or emailing info@joysplacelive.com. Orders must be received by the previous Friday @ noon. A confirmation of your order and cleanse instructions will be emailed to you. 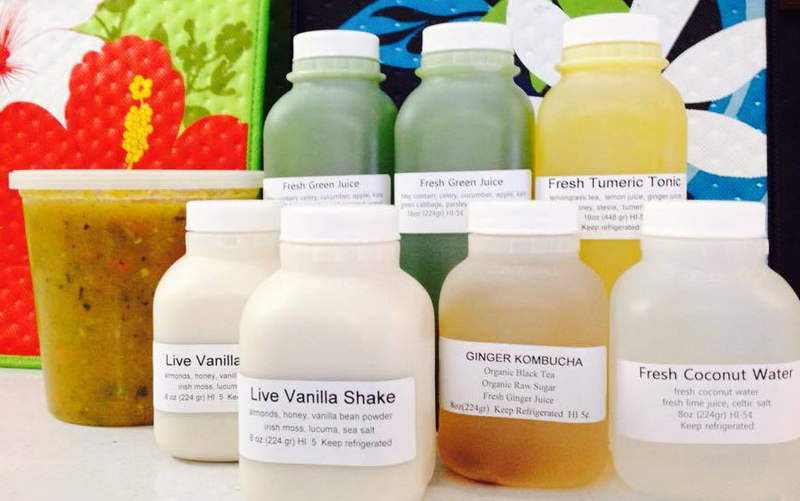 On your scheduled cleanse days, pick up your cleanse at the joy's place LIVE! kitchen in Pukalani aft 7:30. Bring your insulated bags back to receive a $3 refund per bag. I have been a regular customer of "Joy's Place LIVE" for years now, occasionally when Joy had her shop in Kihei and then more regularly when she relocated to Pukalani, since we live in Kula. My wife first got me going with some of Joy's amazingly delicious and HEALTHY, LIVE food and liquid concoctions. And she got me started with Joy's 3 day liquid cleanse. I had done a couple longer cleanses in the past, but these 3 day ones work really well for me and for many other people I have spoken too as well. I enjoy the combination of LIVE juices and the soup. And there is enough so that I end the day satisfied, not feeling weak or starving but happily and healthfully recharged. I now try to do a cleanse every month - when I do it makes a big difference in how I feel in my body, with more energy and vitality. And it has become one of the first things I want to do after being off Maui for a while. Give it a try, you might like what Joys LIVE liquid cleanse does for you as much as I do! - David A.